Dental anxiety hinders millions of Americans. Are you one of these anxious patients? This fear associated with the dentist is a very real problem for many of our patients, and we want to help! Fear of the dentist can prevent patients from enjoying maximum health and comfort. It is important that our patients see us for regular cleanings, examinations, and procedures, so we provide a way to make their experience stress-free. Sedation dentistry has helped patients all around the world to get the dental attention that they desperately need. 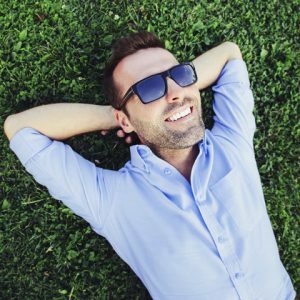 If you’re ready to have a happier dental experience, call us to ask about calming sedation dentistry. Could I Benefit from Sedation Dentistry? Our sedation dentistry methods are proven to be safe and effective. You will have a content, relaxed, and worry-free feeling throughout your visit. After your appointment, you won’t have to remember all of the details of your procedure. You can just start enjoying your healthier, more beautiful smile. At Pryor Family Dental in Cabool, we provide nitrous oxide. Nitrous oxide is a safe gas that is mixed with oxygen and administered through a breathing mask. Nitrous oxide allows you to remain awake during your procedure without feeling anxious or upset. After the procedure, the effects of the gas will quickly wear off so that you can enjoy the rest of your day. One of our most important goals is giving every patient a dental experience they can smile about. Dental sedation can work for you just like it has for thousands of happy patients! Contact us today to learn more about sedation dentistry at Pryor Family Dental.